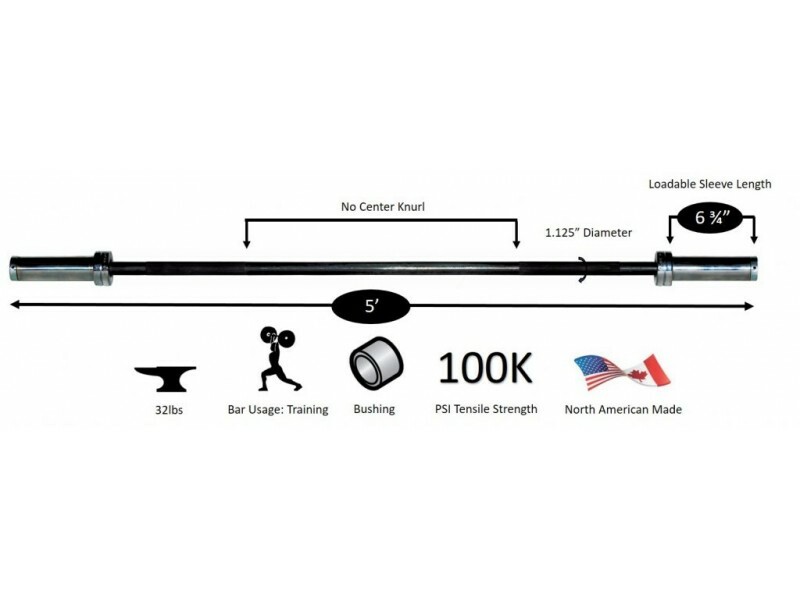 Olympic Lifting Lightweight Training Bar - The shaft is not as long as other bars, making it not usable for snatches for many lifters, but it works great for cleans! 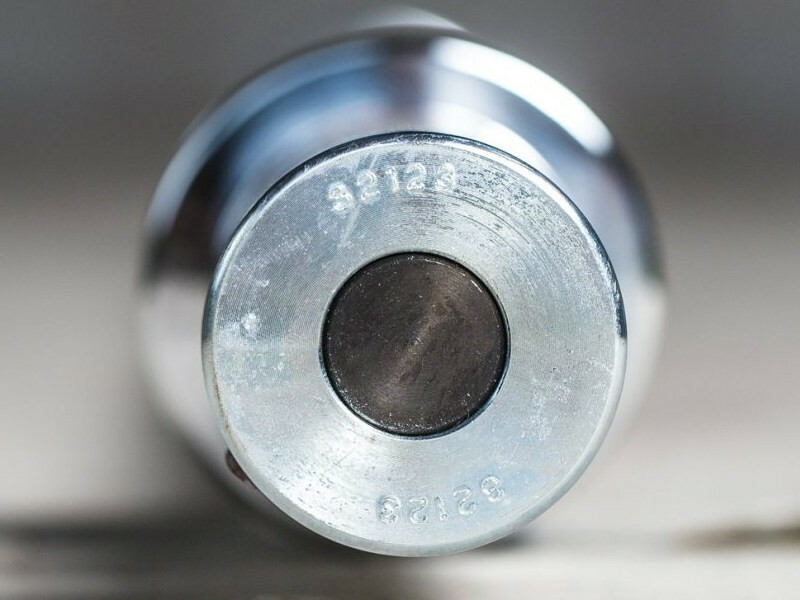 The shaft is a good 28.5mm diameter, and it features a light starting weight of only 32 lbs. It's much more durable than lightweight aluminum bars, but at only 100,000 PSI you don't want to be dropping it the way you would higher strength bars. Bench Pressing - It can be used as a bench pressing bar, provided it is used on a narrow rack that is no wider than 41". That could work good if you're lifting a small room limited on space. Unlike the 6ft version of this bar, this one is only 44" between the collars and is therefore several inches too short to fit on a power rack. Other Exercises - Use it as an accessory bar so you don't have to pull your main bar out of the rack or unload the plates. 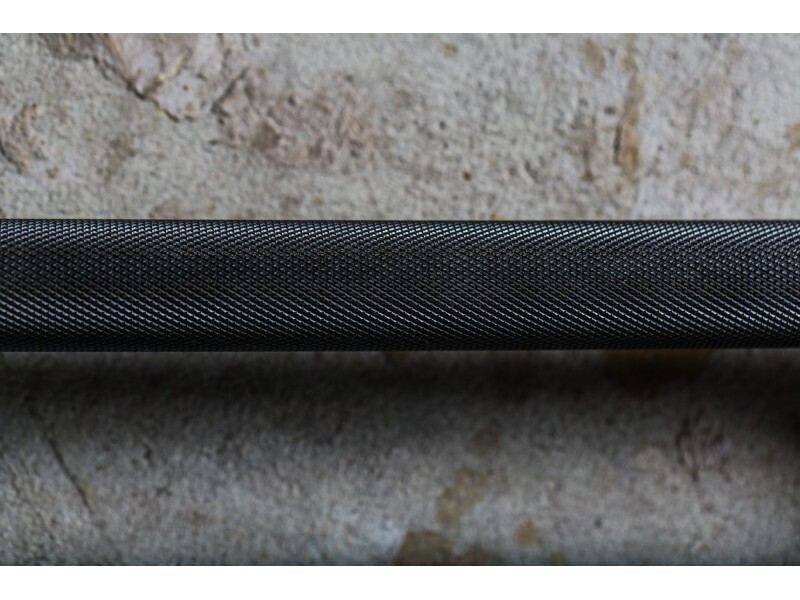 The black oxide coating gives you just about the best no-slip grip without having to go with painful deep knurling. Its small, lightweight size makes it easy to move around and store out of the way. Like all of York's bars, this bar has smooth sleeves without the grooves that are put on other brands of bars. It also has York's signature split sleeve design.